I recently suffered through a frustrating hour of trying to unsuccessfully add a URL link to one of my blog posts in WordPress. I looked at WordPress forums and did a search for similar problems, to no avail. I finally contacted a WordPress-savvy friend. I explained my problem, and he didn’t have an immediate solution. He asked me to record a screencast of my process, which I did with ScreenFlow. Upon seeing my screencast, he immediately contacted me and told me I was forgetting to put “http://” in front of my URL. DUH! Yeah, OK, I felt really stupid. (And again, let me defend myself by saying: Of course I know that – it was clearly a case of caffeine-deficiency rendering me unable to complete basic thoughts.) Even though I explained my problem to him, what it finally took was a simple screencast for my friend to see what I was doing wrong and put me on the right track. This made me want to herald the virtues of screencasting as a tech support tool. Getting to the bottom of technical support problems often involves the user describing to the support technician exactly what he or she is doing. Even with the best communication skills, when someone who is frustrated and been trying to solve a problem for awhile describes his problem, he can easily leave out critical information – either because he doesn’t know it’s critical, or because he’s already eliminated it as a possible problem during his own efforts to solve the issue. In my case, I kept telling my friend I was “entering the URL”. As a user, I was frustrated and SURE that my problem had something to do with WordPress. So, when I explained my issue, the last thing on my mind was that I was doing something wrong. From this perspective, it is easy to see how minor details can easily be left out during a conversation. When there are native language differences between the user and the technician, this can make it even more complicated. Having the user create a quick screencast to detail his or her process can mean the difference between a frustrating support experience and a successful support experience. Especially helpful for a user to include in a screencast is a shot of your software version number, or browser version number, or any other operating system or configuration that the support tech will need to help diagnose the issue. My example was from a user perspective, but screencasting can also be useful for helping support technicians demonstrate solutions to issues as well. Here at Telestream, our support department is using ScreenFlow more and more often to help demonstrate to users how to solve their issues. Rather than trying to describe the step-by-step procedure(s) for fixing a problem, our technicians are whipping up short ScreenFlow demonstrations, with basic narration, to describe and demonstrate the solutions. The added benefit is that they then have a ready-made answer for others who call in with the same support issue, saving them lots of time. So the next time you have a support issue, I suggest making a screencast, to help you get answers fast! Have you used screencasting to help solve a tech support issue (either as a user or as the one providing support?) What has been your experience? 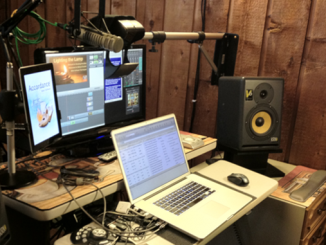 What advice would you give to anyone using screencasting to help them get or give support? I totally agree. A quick screencast speaks volumes. I’ve used it when providing tech support to friends and family. Nothing fancy, but I’ll do a quick tutorial on, say, iTunes or burning a CD and then put it on YouTube as private and send them the link. I totally agree with you. I’m not a developer, but I really think developers could get a lot more mileage with helping their customers if they start using screencasts to communicate solutions. Often times now when I‘m reporting a problem to a developer, I‘ll do a quick screencast to show what I‘m trying to describe. I use ScreenFlow all the time, but for quick, down and dirty screencasts, I use Jing. Screencasting in all areas of work is so powerful, that’s there’s very few reasons not to be using this technology. I have searched high and low on Google for a way to import my screenflow screencast to my wordpress site and nothing. I host my website on my own server. WordPress, by default has a 32mb upload limit. And it will not upload .mov files. So I have renamed the screencasts .flv and tried installing a wordpress plugin that allows me to upload 254mb videos but still nothing. WordPress is one of the most popular blogging/website platforms out to date. Do you know of a way or a tutorial that helps with this issue? We hope to have another solution at some point, but since you host your own site, you have some options. One thing you might want to try is using Flowplayer.org’s free player for embedding videos, including FLVs and MOVs. 1. Go to http://wordpress.org/extend/plugins/word-press-flow-player/installation/ and download the plugin for Flowplayer by Saiweb, or do a search for “Flowplayer for WordPress” from your Plugins dashboard (Add New). 3. The WP plugin page above also has instructions for doing the embed via your Post dashboard. But it’s really simple. Just copy and paste this code and change the information. You can use either use the visual editor or the HTML editor in WordPress. As you can see, it just lists the absolute path to the video, plus size information. This tells the player what size and aspect ratio to make your video. This will place the free Flowplayer on your site, and include any video you’d like to show. Craig, after a little tinkering between your fantastic advice and the Flowplayer plugin site I was able to get my ScreenFlow screencast to work on my wordpress site on my server. Amazing!!!!! 1. Donwnload plugin and activate. 2. Go to htdocs/wp-content and add videos folder. 3. Go back to Screenflow and export screencast for web to videos folder. 4. Go into my WordPress admin panel and type the following in my post… [FLOWPLAYER=http://localhost:8888/wp-content/videos/torrents.mov,840,526]. The issue I had was that I was not adding /wp-content to my string. Thanks for the great advice. I was thinking about doing a tutorial and uploading it to U-Tube for others. Searching around in Google all day long produced nothing, likewise on U-Tube. Thanks for the fast response and great advice. I will definitely be posting on every forum I find about how great ScreenFlow support is and what a terrific product you have. I tried relaunching the app as it told me to in one part of the message, but it does not work. For quickest support, please submit a support ticket here: http://bit.ly/AkwDac. Our support department can take a look at your particular situation and help diagnose what’s going on. Thanks for finally talking about >Screencasting in Technical Support <Loved it!